Cartoonist and blogger Bo Lumpkin is producing a comics sheet with ads that he will be distributing locally free of charge. Bo was generous enough to give the Wombies a free ad for the initial run. You can read more about the project on Bo’s Gatorhead Blog. Thanks for posting. I hope this works for us. You’re welcome, Bo. It was a good idea. 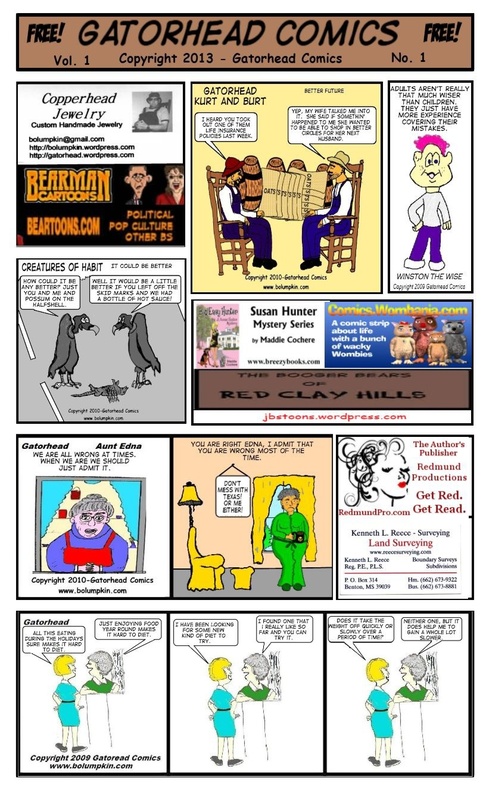 Most people like comics and comic strips, so it should attract some new readers.